construction that is very easy to use. 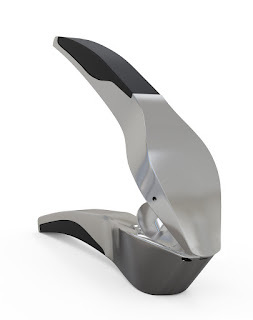 This is not a light weight garlic press, it has a solid construction. 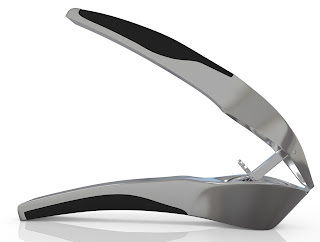 This may just be the best and last garlic press you will ever have to purchase. 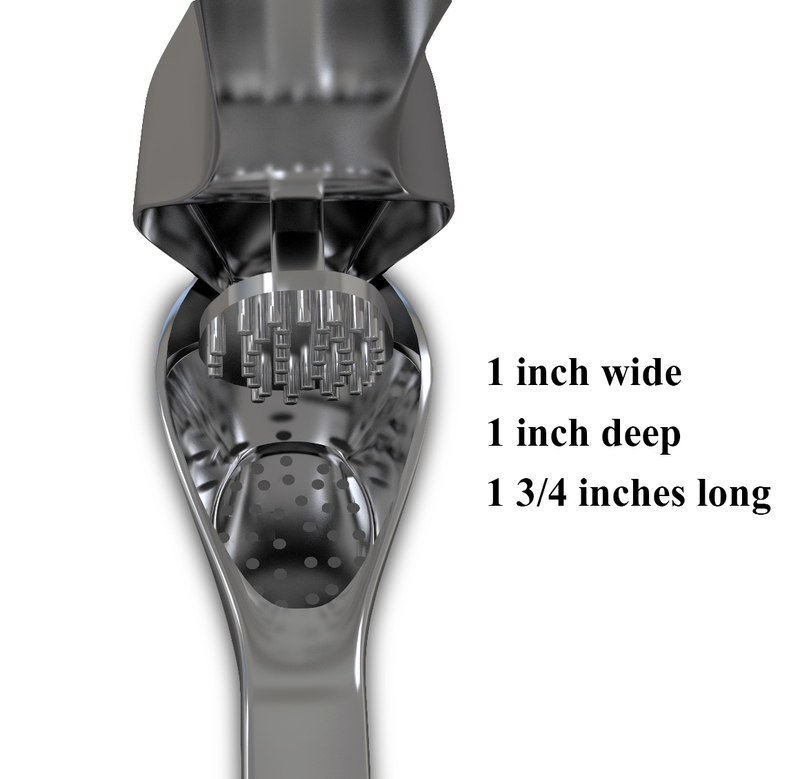 We love our garlic press not only do we cook lots of foods that we use fresh garlic in we also feed it to our flock of chickens. 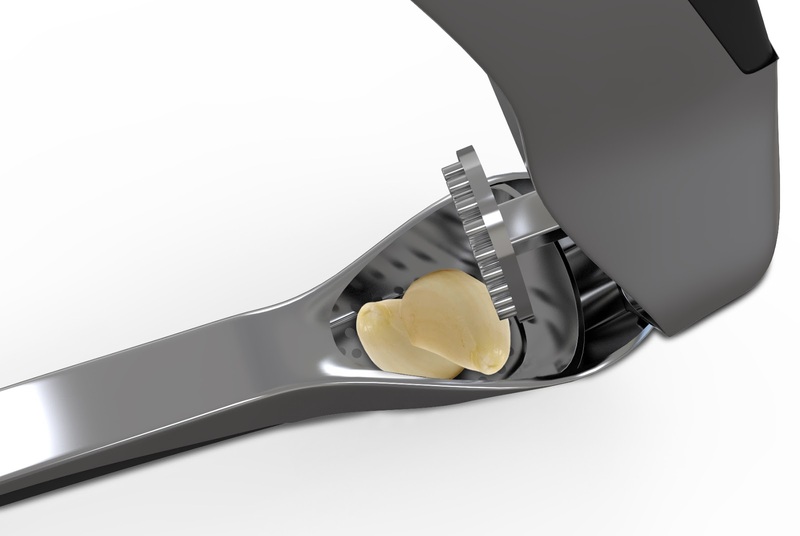 (it's very good for them too) This garlic press makes the job of preparing fresh garlic clean, easy and simple. 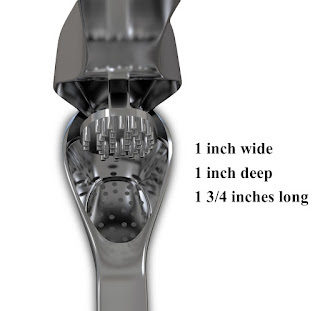 You can add your garlic to this press without even peeling it, how great is this? Also since this press has a solid construction and not 10,000 parts you no longer have the worry of water getting trapped and destroying it. Plus it's dishwasher safe-that's a win win for this busy mom! It is not slip, and very eat to squeeze. The garlic chamber can hold 1 large bulb or 2 small. I ordered my garlic press via Amazon prime so it arrived very quickly and was well packaged. With the holiday season fast approaching this would make a great gift for the chef or foodie in your life. This would also make a great housewarming or wedding gift.